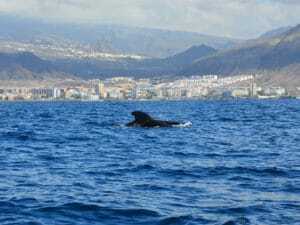 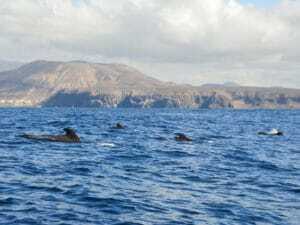 The Southwest coast of the island of Tenerife has been converted into one of the top European destinations for whale watching. 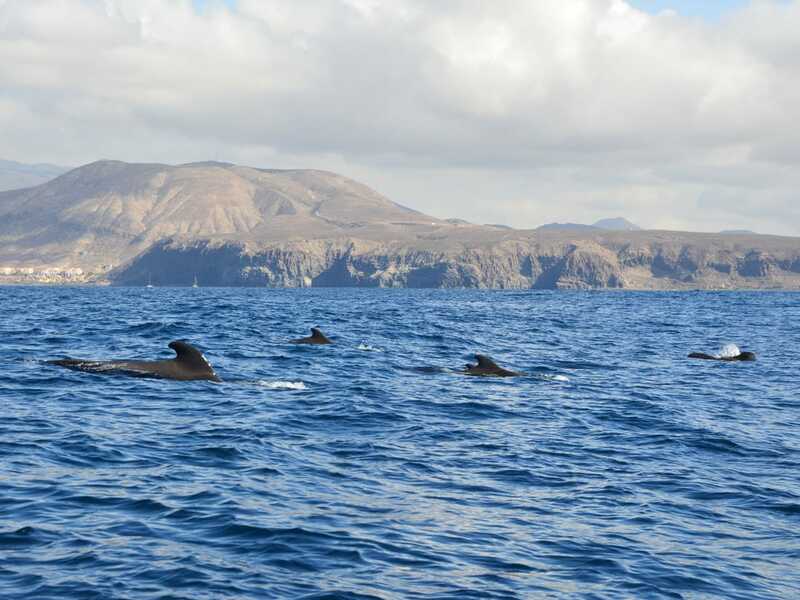 The boat trip starts from Las Galletas and stops a bit offshore in the area where whales can be spotted. 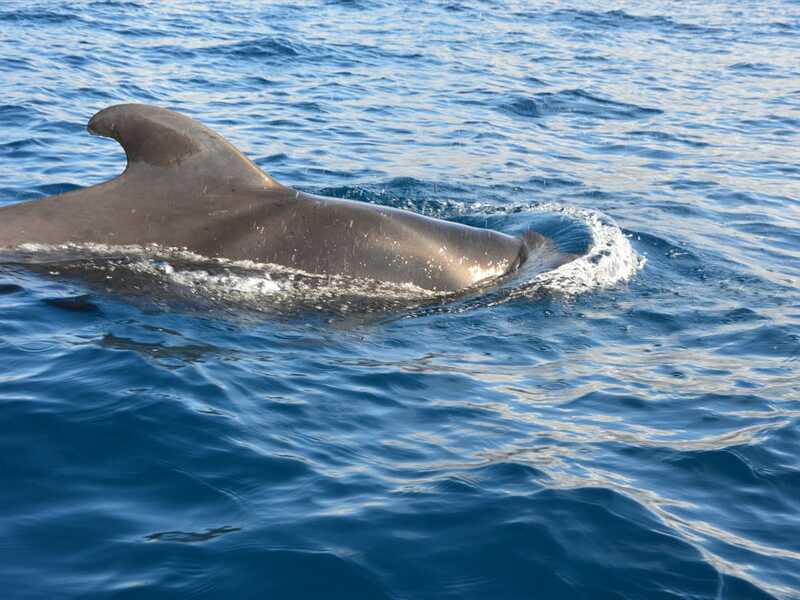 There is a variety of 21 different cetacean species, from the common bottlenose dolphin to the colossal blue whale. 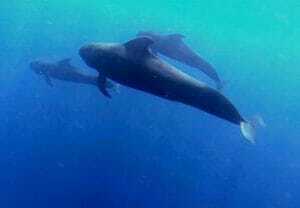 The specie we are usually lucky to see is the short-finned pilot whale, which belongs to the oceanic dolphin family. 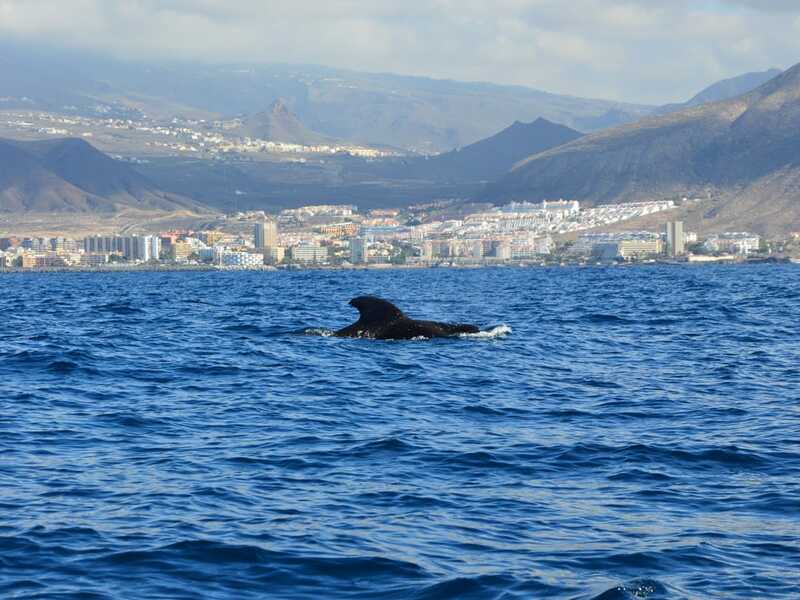 Differently from dolphins, however, this whale specie is used to resting on the surface sometimes, which is why we can spot it more easily. 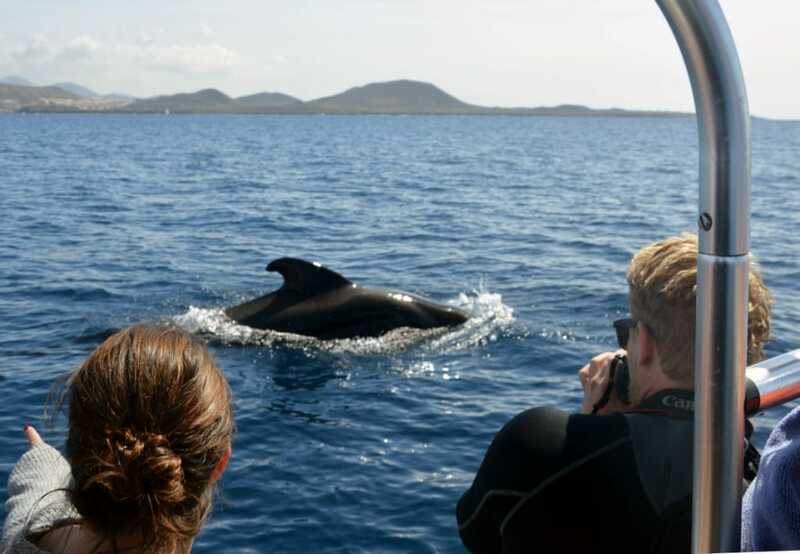 Our professional marine biologist accompanies you for the whole trip, explaining all you need to know about these wonderful creatures. Due to their wild nature, we cannot guarantee that whales will be 100% spotted. 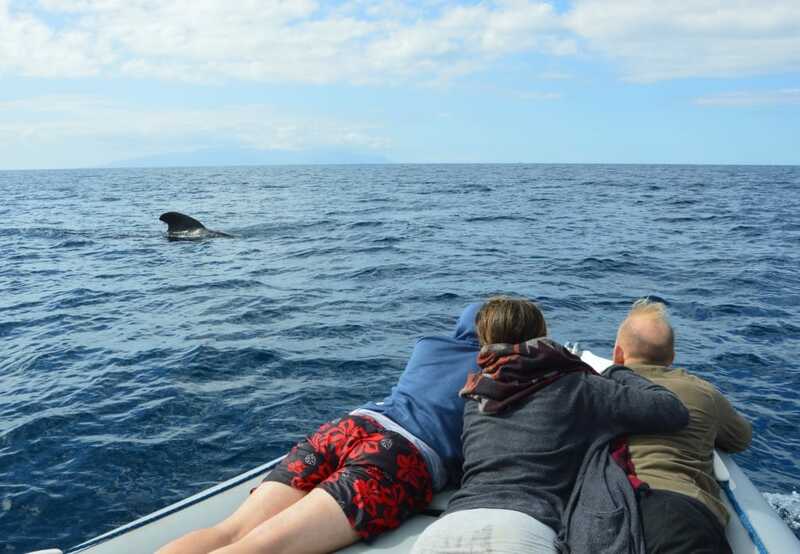 Anyway, a boat trip is the perfect way to have different views over Tenerife and La Gomera, unique natural islands. 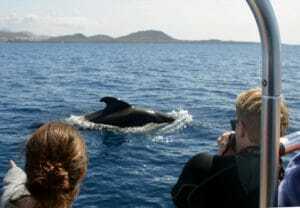 *the price also includes pictures from the experience.